The holidays are fast approaching and Kelly is beginning her pursuit of the best Christmas gifts for her friends and family. Just like 55 percent of Americans, she begins her search on Amazon. More people begin their product searches on Amazon than any other website in the United States, beating out even the super power that is Google. In 2016, Amazon was the most popular e-retailer in the United States, with just under $136 billion in net sales, according to Statista. These statistics are just the beginning for what Amazon as a company has been able to accomplish over the last several years. “By any definition, the growth that Amazon has generated in the last 10 years is amazing. Their growth is driven by cultural, social and consumer trends. Amazon has particularly leveraged the explosion in the use of smart mobile computing capabilities to provide a platform for consumers to shop at any time and from any location,” said Scott Samuels, vice president at Rochester College and a former banking and wealth management professional. This is just one of many moves that Amazon as a company has made to advance itself after passing the retail giant WalMart as the most valuable retailer in the United States. Amazon has seen exponential growth in terms of sales since the Internet boom; capitalizing on what the company is best known for, its online store. 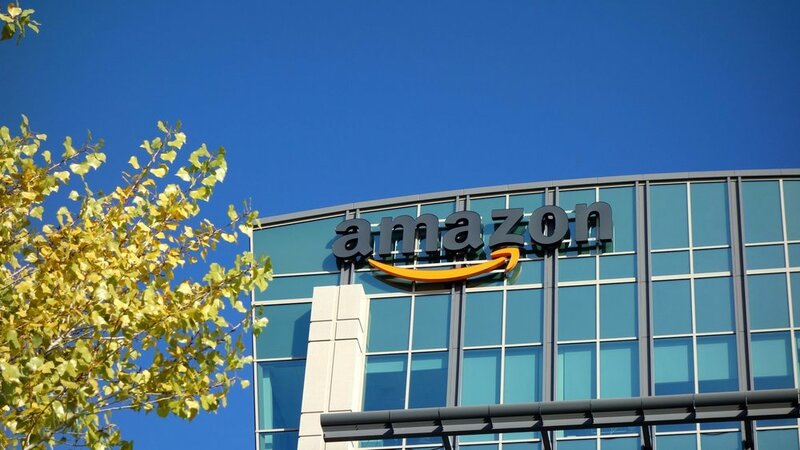 This growth has been unmatched by any other retailer in the United States, with Amazon showing no signs of stopping any time soon. According to an article written for Forbes, 64 percent of households in the United States have an Amazon Prime account. These memberships go for $99 and include unlimited “free” two-day shipping, as well as several other perks that now involve discounts at whole foods and access to catalogs of movies, just to name a few. “I often choose to buy on Amazon instead of going to a physical store, but it depends on the item. I like the convenience of quickly ordering stuff online,” said Katelyn Hargrave, officer manager of student life and chapel coordinator at RC. The convenience of ordering items online and having them show up on your doorsteps just a few days later is something that has given Amazon an edge over many other retailers. It eliminates the need to leave your house and fight traffic, waste gas and spend time walking around a store. All of the items that anyone could ever need are a click away and now with the purchase of Whole Foods, this includes its private organic brand, giving Amazon an edge in the grocery department that it had previously been lacking. “I choose Amazon over the regular store when I know I will not be able to get something from the regular brick and mortar. I am not really a patient person, so if I have to spend a few more dollars to have that item today, I will buy it off the shelf,” said Madison Kolke, administrative assistant for RC’s Accelerated Learning. Patience is the key for Amazon customers, with most products not arriving until two or more days after the purchase, but with Amazon trying to gain a larger physical, brick and mortar presence, this may not be the case for long. Amazon is also an advertising expert, using the big data website Alexa, which it purchased in 1999, to track people’s data and online browsing habits. This means that it will put the product in front of you that it thinks you need, whether you knew it or not. “Amazon pays attention to our behaviors and they are providing what we desire. They are innovative and have their hands in so much of what we do,” said Danette Cagnet, dean of the School of Business and Professional Studies. Being a leader in innovation is also a large part of Amazon’s success. Recently, Amazon launched Amazon Key, which is a device connected to your door that is controlled by your phone. It allows you to let people in your house with a one-time use code, for things like deliveries, maid service and anything you can think off. Key joins many other innovative products that Amazon has created over the last several years, such as Launch Pad, Prime Air and the Dash Button. But Amazon is not just in the business of retail. The company owns large websites like IMDB, which is one of the largest movie databases in the world, and in 2014 it purchased Twitch.TV, one of the largest live video streaming sites in the world. Amazon also owns companies, such as Audible and Box Office Mojo, which only adds to its reach. Amazon is one of the leading companies in the world, not just leading retail companies in the world. With no obvious competitor rising to stop the monster that Amazon has become, the company seems like it will continue to grow exponentially and maybe that isn’t a bad thing. The higher Amazon gets, the lower the prices and the better the deals seem to become. As odd as this may sound, what is good for Amazon may be just as good for us.